1. 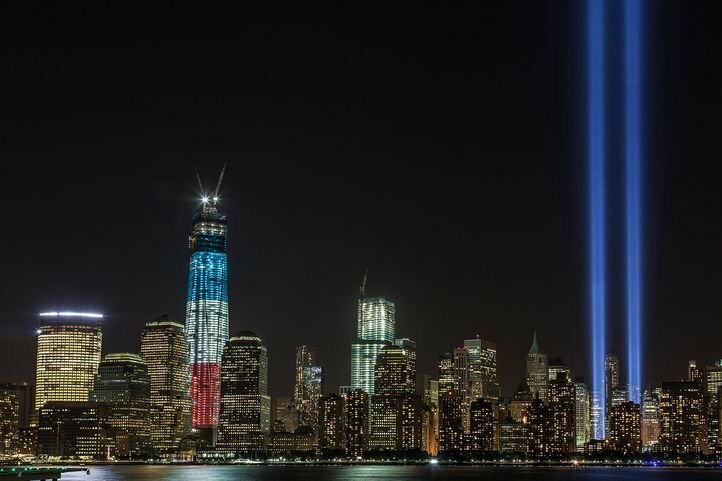 The 'Tribute In Light' that points to the heavens depicting the twin towers will stand tall for eternity. 2. 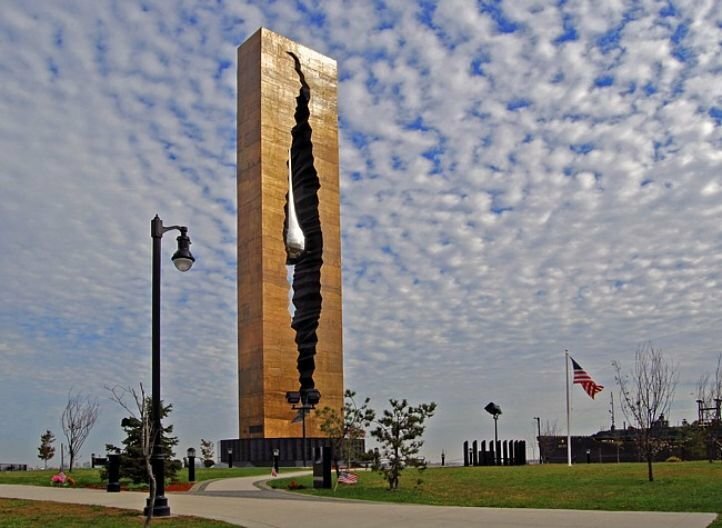 The teardrop monument gifted to the US by Russia. Designed by artist Zurab Tsereteli who was moved to tears by the attack. 3. Marines paying tribute to those who lost their lives. 4. 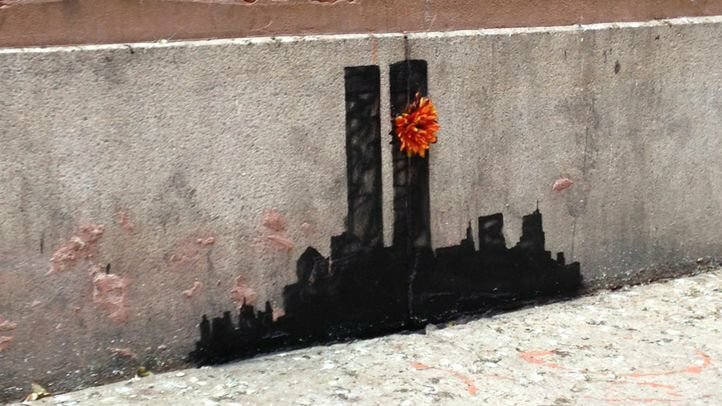 A simple but powerful tribute by famous British graffiti artist Banksy. 6. The memorial where the WTC structure once stood, with the names of all those who lost their lives. 7. 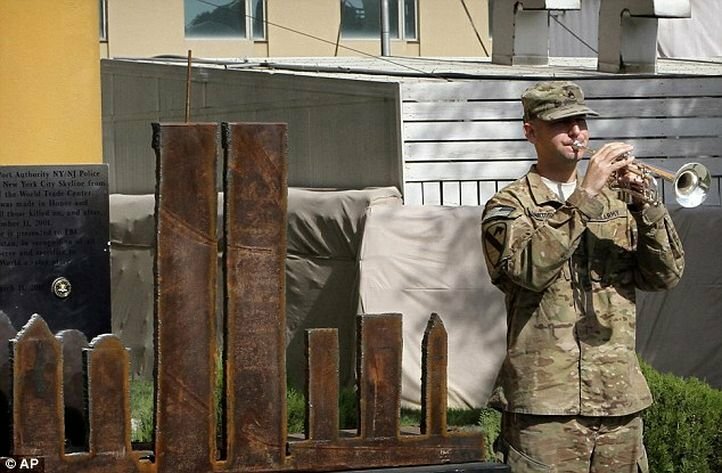 Soldiers in Kabul pay tribute next to a symbolic structure of the WTC skyline made from its steel ruins. 8. 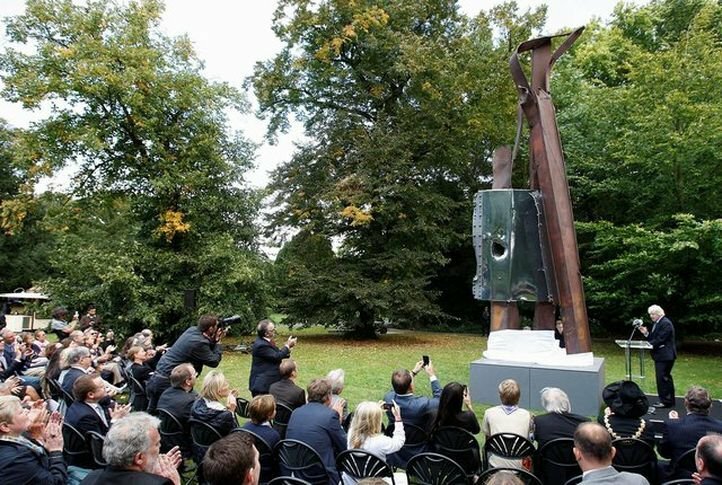 Another structure made from the steel recovered from the remains of the building called 'After 9/11' has been erected in London. 9. 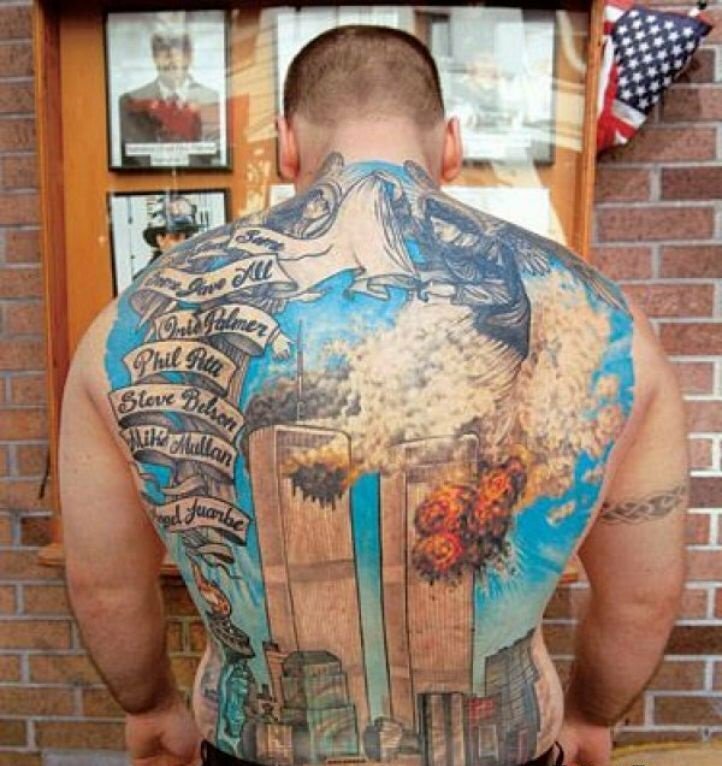 Tribute to the brave firefighters who lost their lives helping people evacuate the buildings. 10. 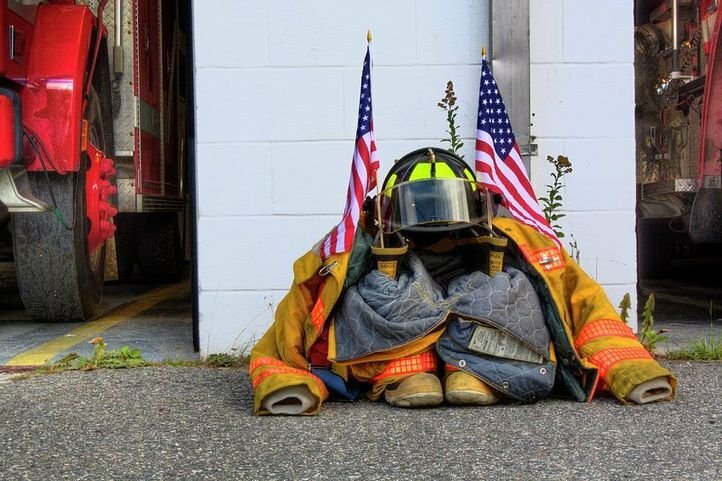 A tribute by a firefighter to his brothers who gave their lives to save others. 11. 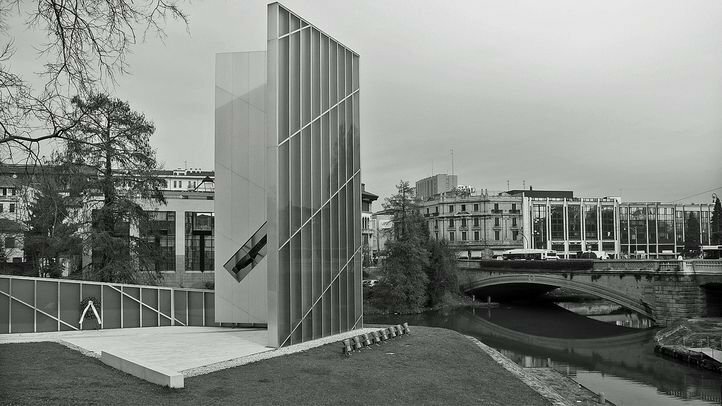 The 'Monument of Memory and Light' made in Italy which also houses a twisted steel beam of the World Trade Center. 12. 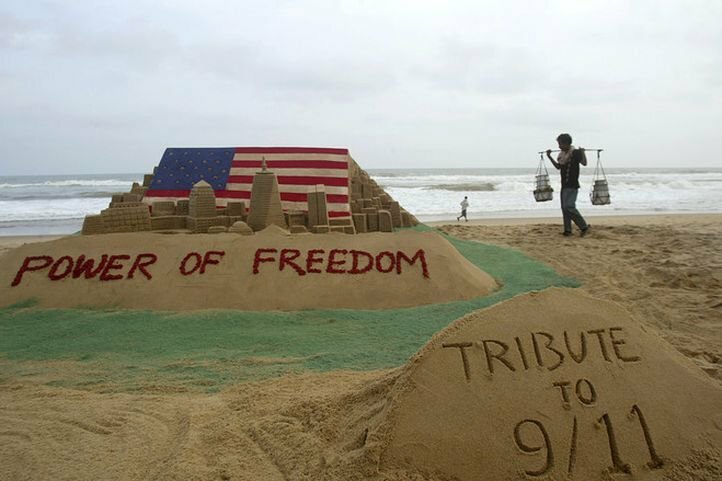 Sand art prepared by Sudarshan Patnaik in Puri, Orissa, India. 13. 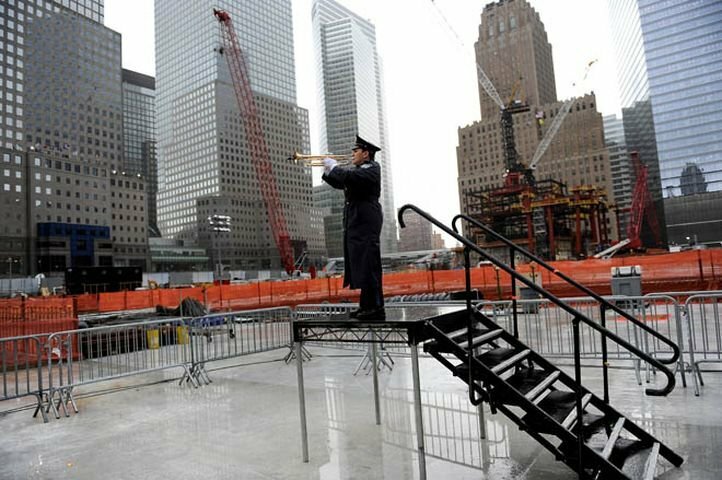 A police officer plays 'Taps' at Ground Zero to pay respect to those who were alive when the structure stood there. 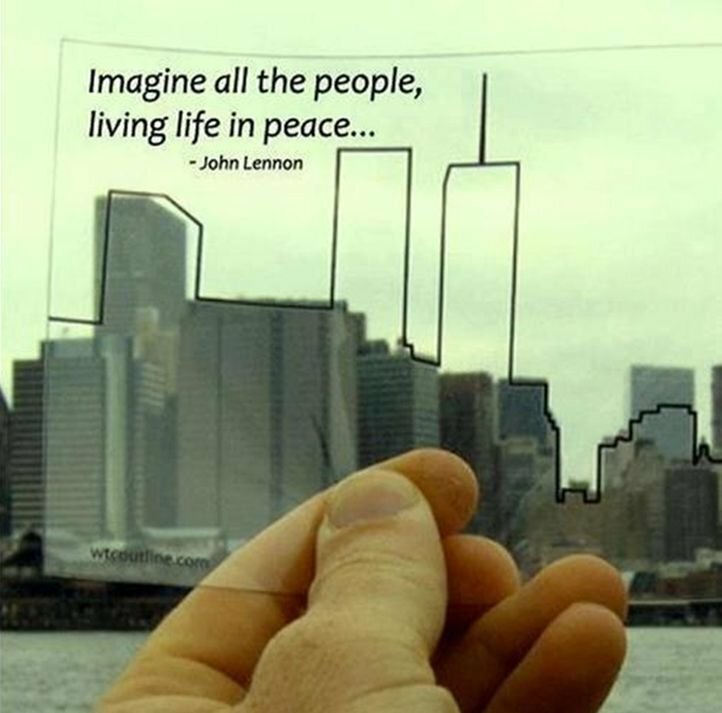 Ground Zero is where the towers once stood. 14. 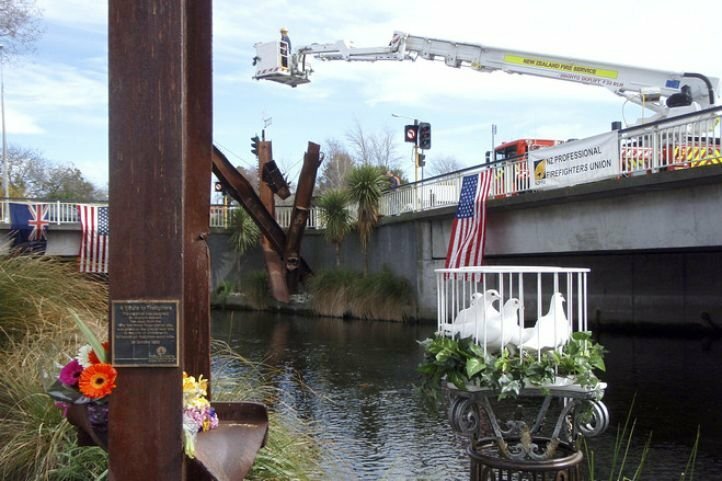 A m emorial built from steel remnants of the WTC buildings in Christchurch, New Zealand. 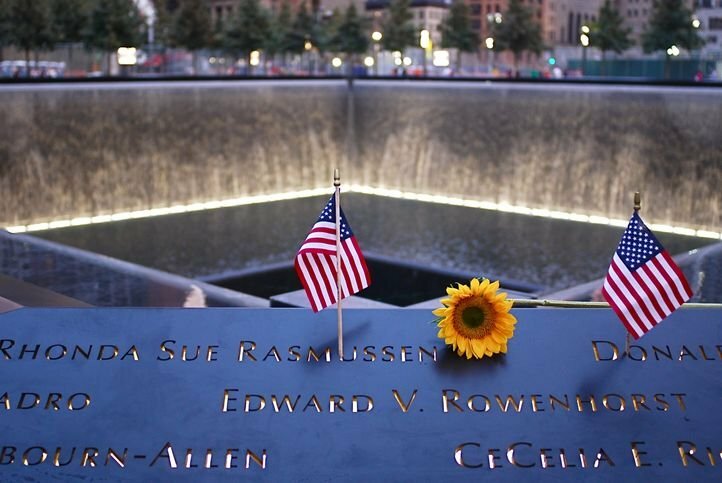 On its 14th anniversary, our prayers go out to the families & friends of those who lost their lives during the events of September 11th, 2001.